Our exciting selection of books. Select the cover below to see the book's details. To purchase more than one book please use the wholesale order form. A Close Call: An afternoon ride becomes dangerous when Courtney’s curiosity leads her into a race to safety from an enraged emu. Jake to the Rescue: Jake’s dad hasn’t come home for tea. Following his mother’s request to use his initiative more often, Jake and his dog Laddie go on a night search for his father that puts them in danger. ​Go to its page to find out more. Watch the lovely Aleesah Darlison launch these two new books. ​An enchanting world full of magic, both good and evil. ​Go to the book's page to find out more. 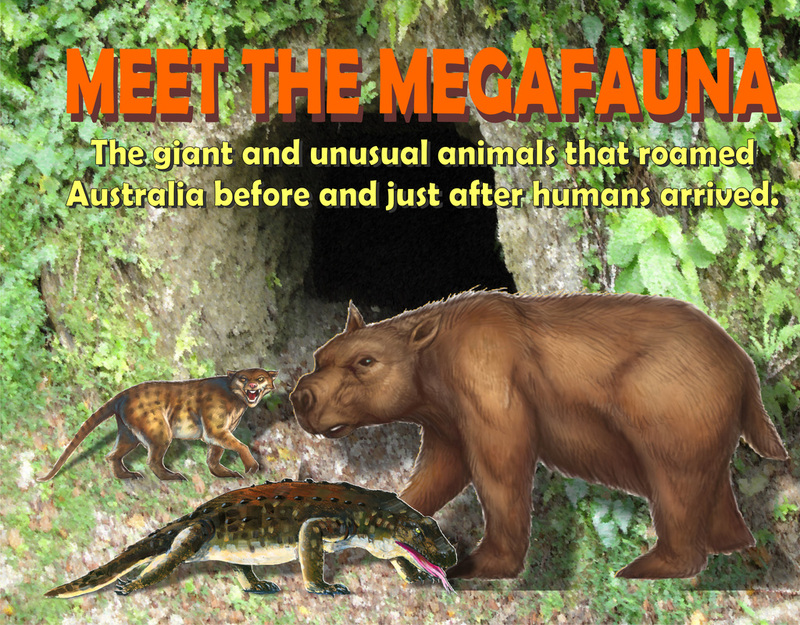 Book one in the Meet The Megafauna series. Author: Elaine Ouston. Illustrator: Kevin Burgemeestre. This is the first book in a series of picture books that will feature two of the megafauna interacting as they would have in the wild. This one features the marsupial lion and the diprotodon. The unique and hardly known megafauna in this book were first introduced by the author in her fantasy series The Mystery of Nida Valley. Many school teachers, librarians, and parents have requested books for younger children with stories and illustrations of the animals. What he didn't know was that right behind him, stalking him, was a marsupial lion wanting to make Dippy his breakfast. Who will win this battle? The books are available through Morris Publishing Australia, bookshops through Novella Distribution, and all library suppliers. This book is educational and introduces the young reader to Australia’s unique megafauna in an entertaining way. It is written as if the animals are introducing themselves to the reader. The book was written at the request of school librarians who purchased my fantasy series for middle readers featuring the megafauna of Australia, The Mystery of Nida Valley. They asked for an entertaining book for younger readers with illustrations of the animals. A series of illustrated books will follow featuring two of the animals interacting as they would have in the wild. Go to the book's page to learn more. This is a collection of Clancy’s short stories, bush poetry and anecdotes from a ‘Life on the run’. Many of the stories are based on true-life. So, get in, buckle up and hold on. This book will make you laugh and cry. Clancy Tucker is an award-winning author, photographer, poet and screenwriter who writes young adult fiction. He has lived in four countries, speaks three languages, has photography published in the USA, photographic work registered with the International Library of Photography, and included in literary magazines. He has also written more than 140 short stories and an anthology of bush poetry. Clancy’s been short-listed, commended and highly-commended in many writing contests, and had short stories and poems published in literary magazines. He has been a political speechwriter, public servant, farmer and vocal advocate for human rights, social justice and independent authors. Clancy has worked with street kids, currently mentors aspiring writers, and draws on life’s experiences to write stories for young adults. ​GO TO THE PAGE FOR A REVIEW OF THIS BOOK. This award-winning, modern fiction novel deals with bullying, refugees, asylum seekers, sickness, sport, competing, friendships, racism and bigotry. YOUR LITERARY FESTIVAL: WANT TO HOLD A LITERARY FESTIVAL OR BOOK A PRESENTER FOR YOUR TOWN, LIBRARY, SCHOOL OR WRITERS' GROUP? We will come to you. Tell me your ideas and needs on the contact form and I will send you the details. Or phone or email me for more information. Andrew Weatherby, a bullied computer nerd from Central Queensland is ripped from his world to lead The Knights of Katesch in their direct attack on Maligor the Destroyer. In the midst of the battle in Mountain City, he rescues princess Katarin to find he has been betrothed to her since birth. This feisty young lady risks her life to save Andrew. The Knights believe that have finally defeated Maligor after ten thousand years of conflict. In an attempt to escape the fanatic red guards seeking revenge for the death of their god, Agmar accidentally releases a monster army: the Kazdoom. But, have they really defeated the cause of evil in the universe? Go to the book's page to buy now. eBook available from Amazon, Smashwords and many online retailers. ​Boo is a seven-year-old Thai girl whose father is dying. She must leave home and travel 1700 kilometres to live in an orphanage, ‘Pa Joe’s Place’, run by a foreigner (farang). With a bag of clothes, some food and a mysterious envelope addressed to ‘Pa Joe’, she endures an adventurous train trip to Songkhla. On the way, she meets influential people who know Pa Joe, and a wise monk who gives Boo a lucky amulet. Go to the book's page to see more and purchase this book as a paperback and eBook. You will laugh out loud as you read this hilarious book. Justin Credible is a real live Pinocchio with a keen sense of smell. Trained as a super sleuth for the DNA (Department of Nasal Affairs), he is often called upon at the first sniff of trouble. With a nose for those hard to crack smelly cases, it's no surprise when Justin responds to an urgent call for help. Someone or something has dropped a stink bomb in the city of Aroma – and the stench is devastating! Gardens are wilting, birds are dropping out of the sky, and the residents are leaving in droves! With sleuth-like determination, Justin follows his nose to solve the mystery of the phantom smell before it wipes Aroma off the map! 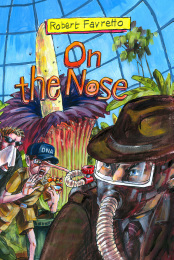 ABOUT THE BOOK: On the Nose is a fun and entertaining read that I'm sure would be enjoyed by young boys. This story is along the same lines as the Just books and Captain Underpants series: crazy, funny and really silly – everything a young boy loves in a book. Please go to the WHOLESALE ORDERS page for details. NEW BOOK PAGE - GONDOR WRITERS' CENTRE BOOKS. Two new titles, You are me, I am you. By C.A. Mason This book focuses on one of the most popular subjects in the universe – LOVE. The Little Bird Told Me by Katerina Rubbo. A collection of Russian nursery rhymes in English and Russian. Choose the cover above to go to the books page to learn more or purchase it. Select the cover to read the first chapter. "Captured" is the second book in The Mystery of Nida Valley series, but even if, like myself, you haven't read the first; the events prior are explained enough that you won't be left feeling lost. Our protagonist, Meg is an absolute delight to get to know and the adventure she takes us on will leave you on the edge of your seat. Packed to the brim with magic, mystery, the ultimate bad guy and unwavering friendship, "Captured" is the ultimate story to re-affirm or develop your love for all things fantasy. The plot is timed perfectly and the world and characters are all well developed and the scenery vivid. This is truly and all ages book. While it is aimed at older children/young teens there is plenty to delight adults as well. The only downside? Well it will leave you desperate for more, and eagerly anticipating reading its predecessor. Bring a little extra magic to your life and take the leap into Nida Valley - you won't regret it.